Yes this one. 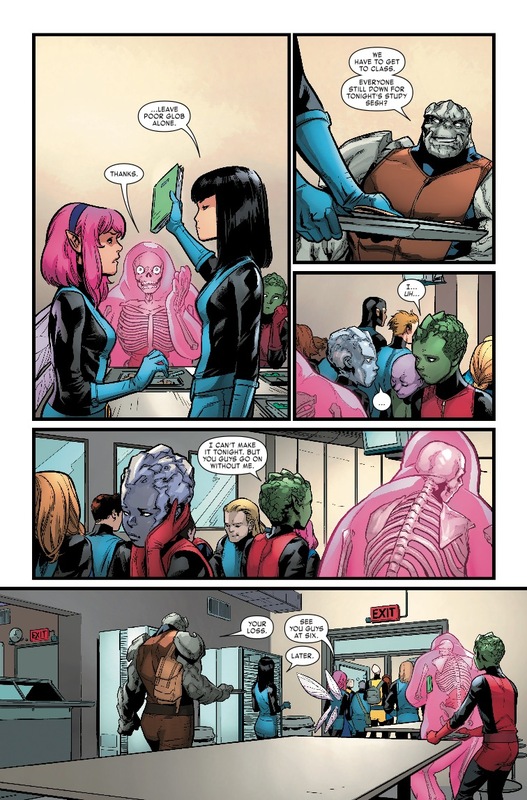 This probably gonna be imoprtant on age of X. It would set the style a bit differently. It means that the style of the 60s costumes stayed, which would imply that the culture and styles we see in AoX sort of stagnated. 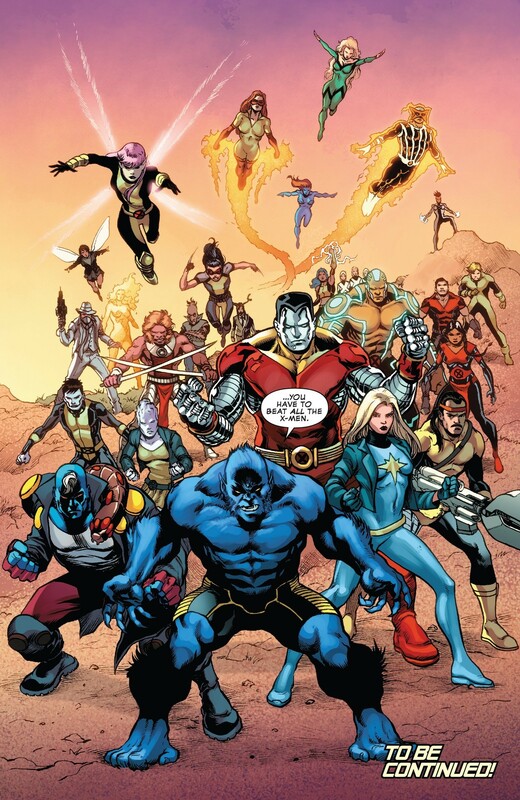 Unaccounted for, so far, to my knowledge: Monet, Transonic, Rictor, Cecilia Reyes, Trinary, Firestar, Goldballs, Triage, Surge, Frenzy, Indra, Mercury, Trance, Match, Husk, Tempus, Sprite, Oya, Doctor Nemesis, Beak, Thunderbird (Neal Shaara), Cypher, & Bling!... ALL from Uncanny #9, as shown above. Additions from #10, off the top of me head, would be Sage & Prodigy. And of course, there's still the mysteriously M.I.A. Legion. You can cross Bling! 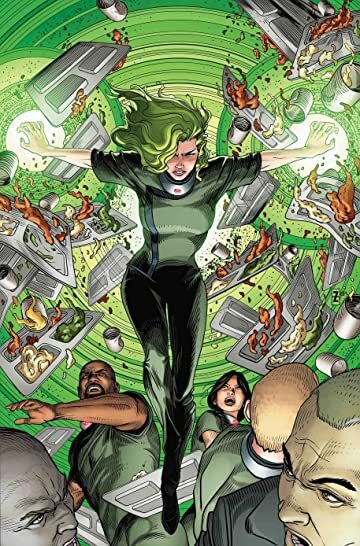 off that list, as she appeared in the preview for NextGen #1. Marcus To also confirmed Trance and Match so they're off the list too. I assume most of the students will be in NextGen. The others are slightly harder to place. Evidence indicates Monet may be a prisoner in the Danger Room but I've no idea regarding the others. I wish someone would make an official list for this. And where do you see Mercury? BLING!, that's right!! Also good to know, on Trance & Match from To. You're probably right on most the other students bein' in NeXtGen as well, which should give it the largest cast by far. 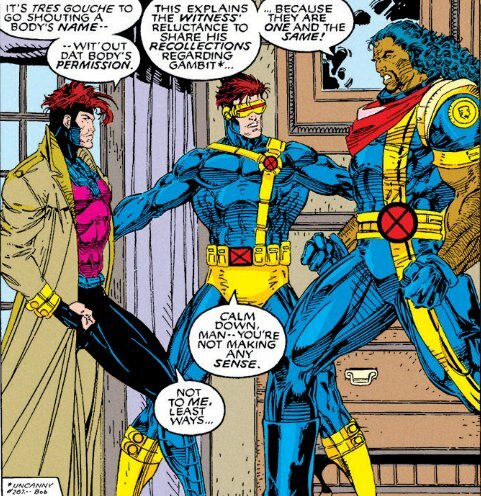 Would LOVE if Monet, and Rictor too, ended up in Prisoner X. Like what kind of list, just the unaccounted for, or those we know about for each series besides? Mercury's in the middle & on the right, just below Maggott, with Trance & Match. I see her! There are too many bluish women with red hair. Is that a miscolored Transonic in the NextGen class page? Who's the blond next to the portrait of Wolverine? Is that Havok? Also worth noting is that all of the students here are wearing the same color uniforms, and that this is a tenth year class. I took it as being Cable, with Hope bein' on the flip side. ... even an inhibitor collar's not gonna keep her from just UNLEASHING, if ya piss her off. And yeah, that art's definitely hittin' the sweet spot(s), and ticklin' in all the right places. Now can't wait to see Peralta's take on Polaris & the make-believe Moonstar, positively salivatin' at the prospect.